One Energy specialises in helping residential, commercial and industrial clients to get off the grid step-by-step using our renewable energy solutions and expertise. Established in 2011, the One Energy Group is the largest and most successful renewable energy franchise network in South Africa, and today stands as an icon of service excellence and perfect installations in the industry. We have a network of over 25 branches nationally, and we pride ourselves on the fact that every client across residential and commercial portfolios is a contactable reference. We constantly evolve our product solutions in line with new technologies, providing one of the most comprehensive renewable energy offerings for the residential and commercial sectors. 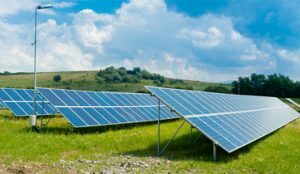 Our suite of renewable energy solutions is procured only through premium, tier 1 suppliers who have the financial backing and proven reputation of standing by all product guarantees and warranties. Our driving business philosophy is summed up in two words – “Perfect Installations”. With over 10 000+ successful installations completed, we are extremely proud of our proven track record and unquestionably one of the highest service levels and business ethics in the industry. Installations and project management across residential and commercial projects. DO YOU KNOW HOW YOU CAN MAKE A 25% RETURN BY INSTALLING A SOLAR GEYSER?